A posteriori targeting: the targeting takes place after the test, in your web analytic solution (Google Analytics, KISSmetrics, AT Internet, etc.). This will not allow you to understand if the performance of a variation was improved on a specific segment (for instance, the smartphone users, or visitors arriving from AdWords clicks). Kameleoon does not take part in this segmentation, usually made by your web analytic solution. A priori targeting: the A/B test will only run on a specific segment of your traffic, usually because the test only make sense for this segment. For instance, if you have an international website, you might find it interesting to run an A/B test for users in France. Similarly, you could test an offer with an A/B test only running on a specific segment (for example: a visitor coming for the first time on your website). This kind of targeting is managed by Kameleoon. Launching an A/B test on a specific segment is very simple with Kameleoon. To access the targeting options, launch Kameleoon on your website and select, in the step 2 of the test finalizer, to run the test on a “Specific advanced segment”. You can easily combine several targeting options by adding or saving them. Note : it is mandatory to define at least one targeting option, otherwise Kameleoon will take all visitors into account, even if they did not visit the pages to test. In this case, there is a risk of having a wrong analyze of your results. Page URL: indicates the URL or URL fragment you want to target (for example, /product-page/ or https://google.fr/intl/fr/about.html). Page title: checks the title of the page. These 2 options let you target a specific page or specific pages. It can be useful if you want to change HTML elements shared by several pages. 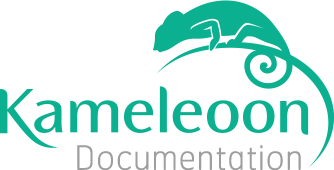 Targeting the URL or the title of the page allows Kameleoon to display the variation for users of these pages only. With Kameleoon, you can target any kind of URLs thanks to regular expressions. For regular expressions examples, please read our article. Note : for a URL targeting with "Contains" as an option, if your expression does not start with http or https, Kameleoon will only check the presence of the expression in the path (ie: everything after the domain name). Browser cookie: checks the presence of cookies and their values. Custom event: the test will launch only when the events you defined are triggered. To trigger an event, you can use the following method: Kameleoon.API.triggerEvent(eventName). Language: includes or excludes visitors according to the language of their browsers. Browser: includes or excludes visitors according to their browsers, and eventually their versions. Device type: includes or excludes visitors according to their devices (smartphone, tablet…). New or returning visitors: checks if the visitor is new or not. Previsous page: checks the URL of the previous page. Geolocation: checks the location of the visitor. Only available for Platinium clients once you have activated this functionality. Use this option if, for example, you want to make a commercial offer only to visitors who went to your website more than 5 times during the day, or to new visitors. Kameleoon also allows you to target visitors with geolocation data: country, region or town. Landing page: checks the URL of the landing page. Origin type: checks the type of traffic. Traffic origine: checks the URL of the original site. Thanks to these options, you will be able to make commercial offers to users that looked for a specific keyword on a search engine such as Google, or to users that clicked on one of the emails sent by your marketing team, etc. Note : you need to be careful with the "Visitor data" and "Traffic acquisition" targeting options. These options are mostly useful for personalization (for example: displaying a commercial offer only to non-buying regular visitors) and needs to be paired with, for instance, a URL targeting. Site out: the test will launch when the cursor goes out of the browser. Exclusive test: allows you to target visitors not included in any other test. Number of overall visits: checks if the visitors have made at least X visits on the website. Number of same day visits: checks if the visitor have made at least X visits on the website on this day. Time since first visit: checks if the visitor have had his fist visit at least X days ago (including new visitors). Time since last visit: checks if the visitor have made his last visit at least X days ago (including new visitors). Number of page views: the test will launch as soon as the number of pages seen is higher than the number you specified.